It took me way too long to get back, but was it ever worth the wait! I was picturing a debaucherous celebration of gelato and gluten, but to my surprise, it totally wasn’t. We ate so many Italian winter veggies with the odd pasta and some pizza, but I was not feeling nearly as strezza-shaped I thought I would by the end of the trip. 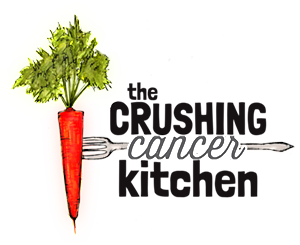 The way Italians embrace their bitter veggies is truly impressive. Artichokes, rapini, chicory, cardoon, dandelion greens on every menu. 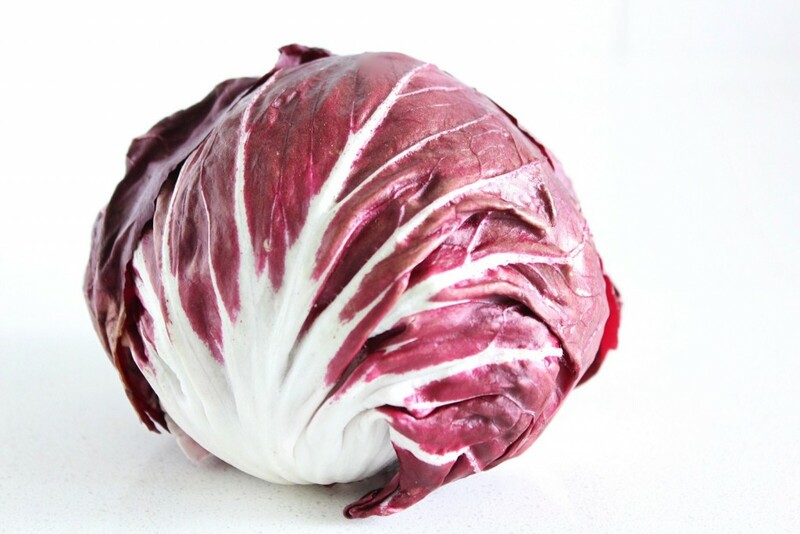 They have types of chicory (including the more commonly known radicchio) at their markets and in their restaurants that look like they should be growing on coral reefs. In January too! The bitterness in chicory encourages bile production and aids digestion. 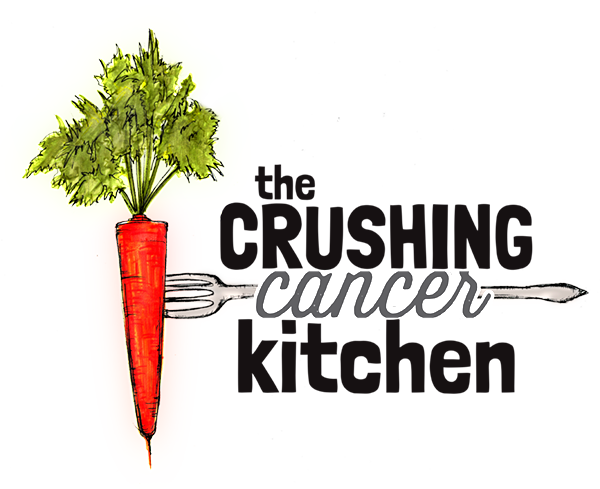 It also contains inulin, which helps regulate blood sugar. It seems it is the perfect balance to insanely good homemade pasta that you promised your 21-year-old self you would go back for. Italy, you know what you’re doing, no wonder your citizens seem to sparkle. We have been eating radicchio since we’ve been back (we may have also headed up to commercial drive in search of out of season artichokes….) 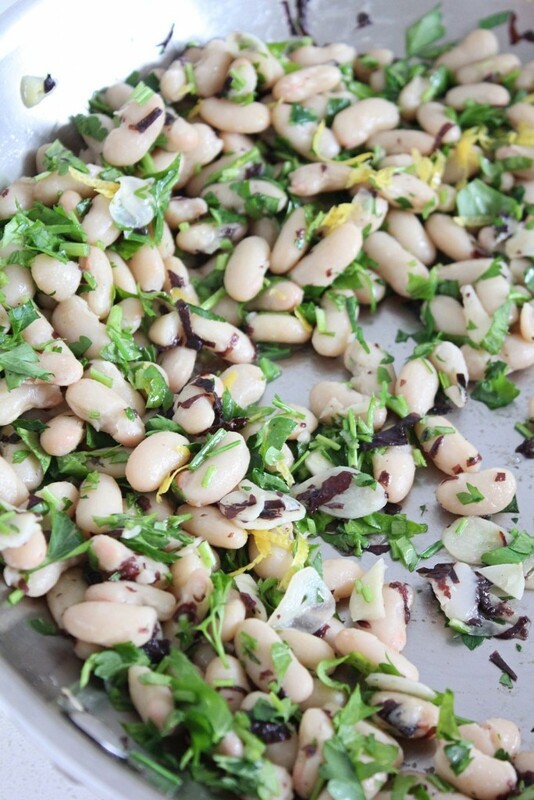 This recipe is a version of what we have been eating: lightly seared to knock the chill put of it, finished with warm, lemony and garlicky fat white beans. If you’re experiencing pasta envy (sorry), you could toss this whole recipe with some zucchini noodles, something similar to what we did here. 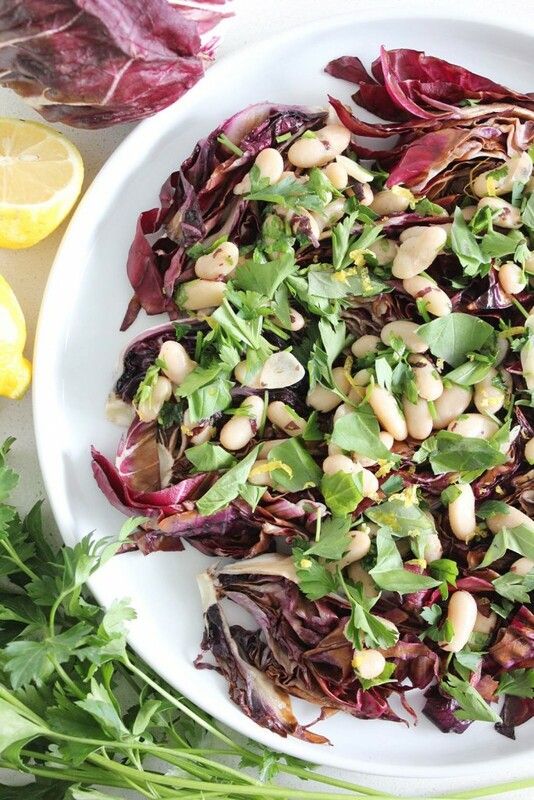 If you’re reading this during shorts weather, leave the radicchio raw and serve the beans at room temp or chilled. 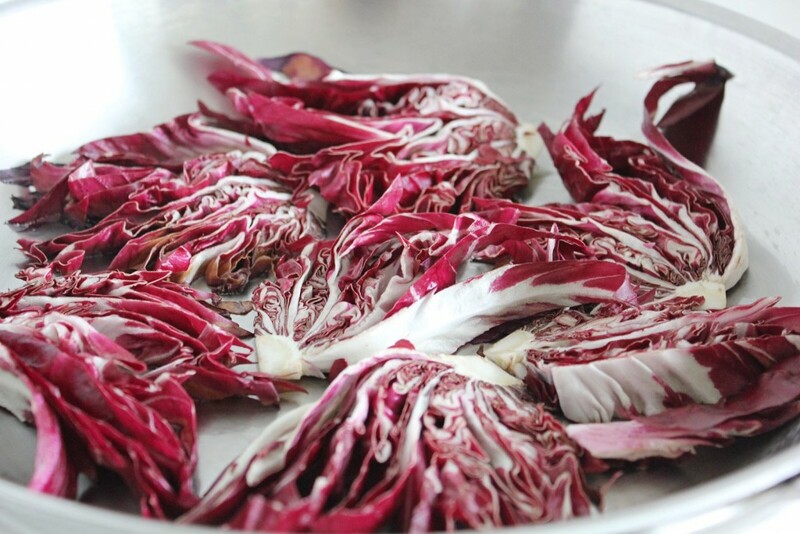 In Rome, the radicchio would be much simpler, probably fried in olive oil, finished with salt and pepper and slid haphazardly onto a plate. But in Rome, you would probably also be eating six other courses along with a loaf of crusty bread. 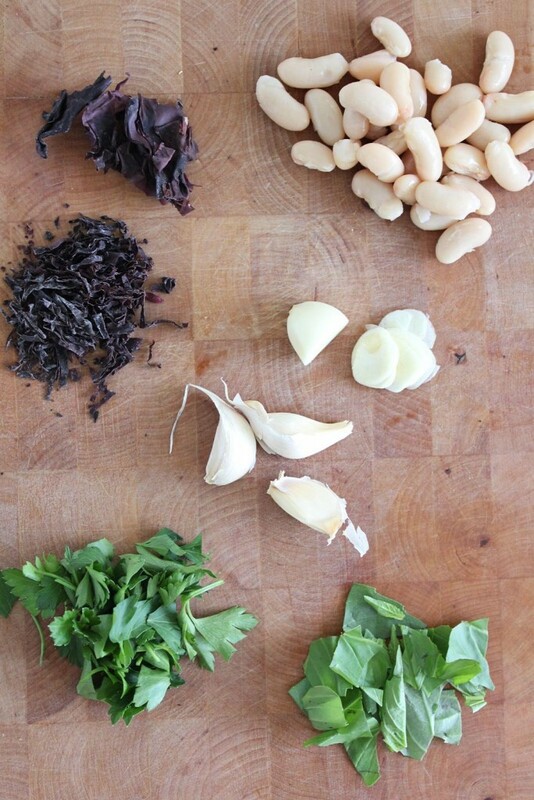 The beans in my dish are to replace the bread (and/or pasta), the parsley and basil make up your insalate mixte, the dulse is your pesce and the lemon is your aperol spritz. Almost just like being in Rome, right? Seriously though, you are going to find this delicious, whether or not you have been to Italy and even if you’re not used to bitter greens. Give it a try. If you close your eyes while you eat this, you can almost hear the buzz of the scooters and feel yourself tripping on the cobblestones. Italy, you rule, I want to learn Italian and come back for a year. 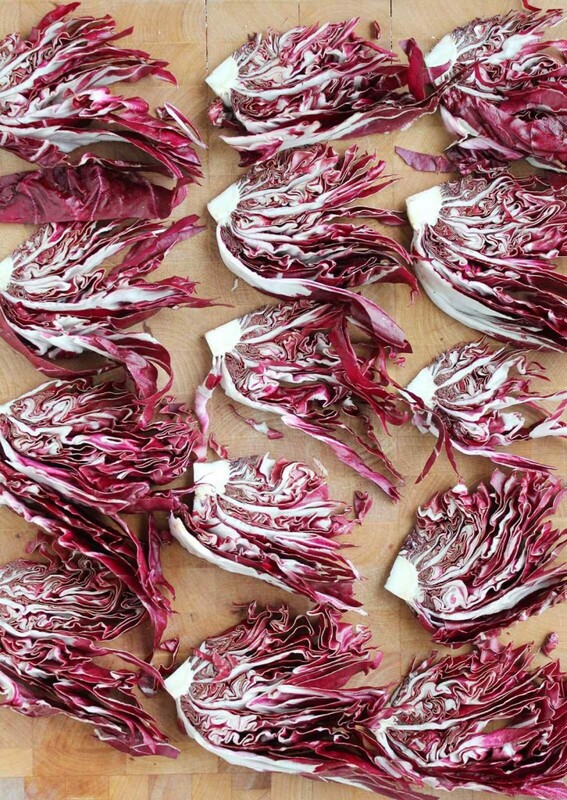 1-2 Radicchio heads, cut into wedges, (8-10 per head) connected by the root. Pre-heat a large frying pan on medium heat and add the coconut oil. 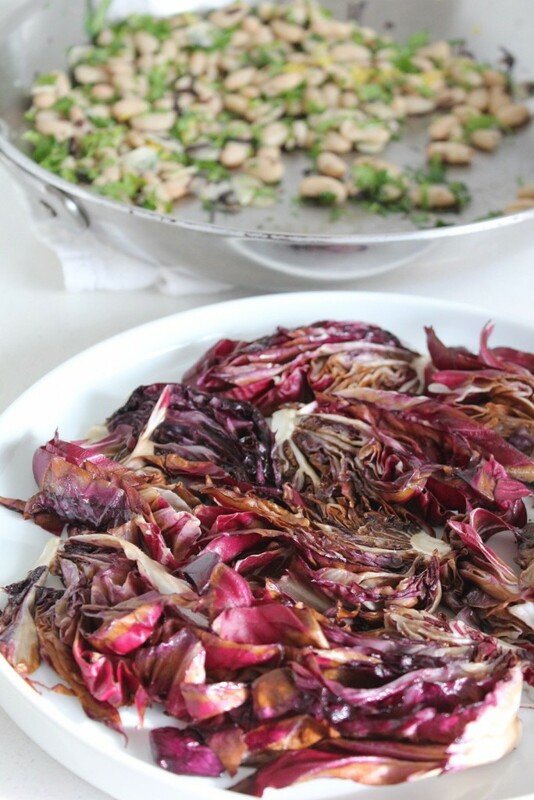 add the radicchio wedges to the pan, only enough that there are room for (don't overlap). You'll probably have to do it in batches. Cook until just softened. You may need to flip some if you cut them big but I like the idea of having them half cooked and half raw. Arrange on a platter, all spread out. In the same pan, add a little more coconut oil, and the garlic and dulse. Sauté until translucent. Add the beans and sauté until heated through. Turn off the heat, add the lemon zest and juice and half of the herbs. 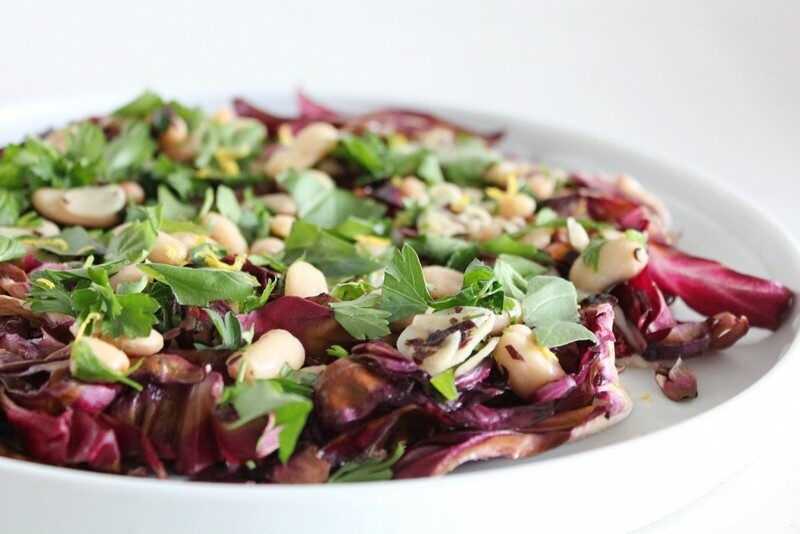 Scatter on top of the plated radicchio and top with the reserved herbs and maybe a drizzle of olive oil. This tastes great hot, room temp, tossed with zuke noodles or right out of the fridge on day 2 and 3. Fabiana, I was there for such a short time to meet my new niece! My sister lives there though, so I will be back soon and maybe we can meet then?